Kingsbarns is the kind of course that you wish you could play every day. 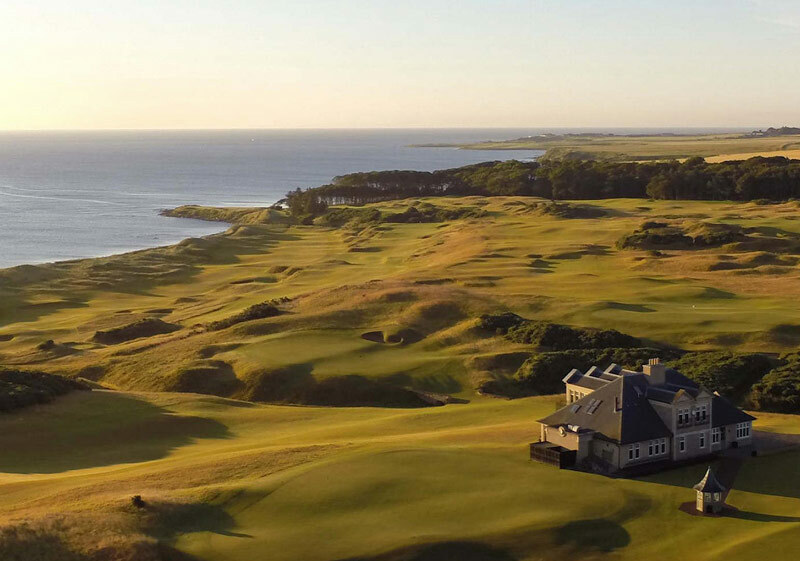 It's a linksy seaside course that was created from flat farmland that sloped down to the sea. The shaping was done so well that people think the course has 'always' been there. Not so, it opened (to rave reviews) in 2000. 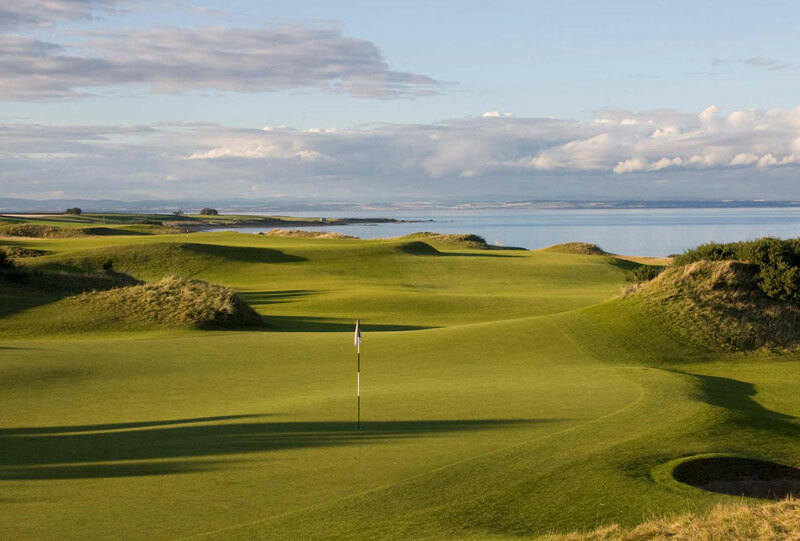 Its success led to the creation of other retro style linksy courses, such as the neighboring Castle Course and Castle Stuart in the Highlands. 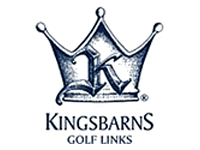 But Kingsbarns was first and best. It dates all the way to 1793!! 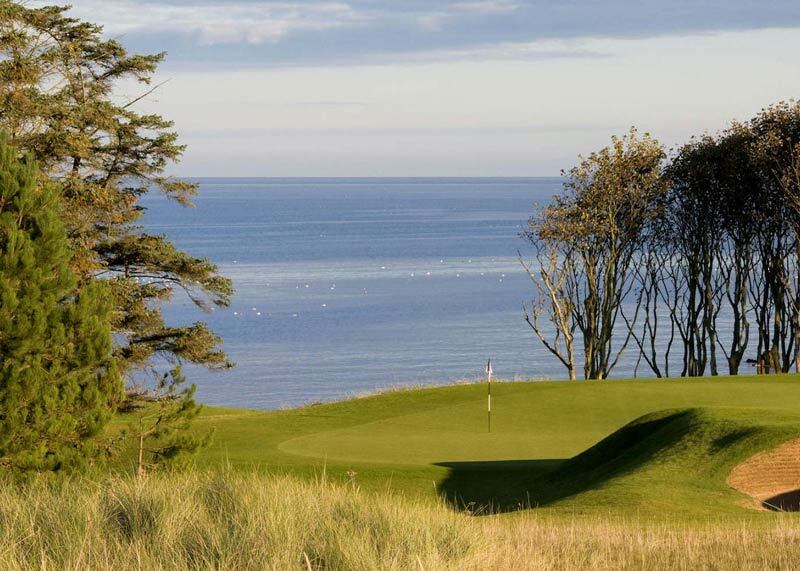 One of the best things of this golf course is that you can see the North Sea from every hole. The golf course dates back to 1793 where it had nine holes. It was reopened in July 2000 and the layout is just amazing. The conditions of the coures are immaculate and all of it you will be paying for with the green fee. Pretty wide driving range. The best hole is number 12 I think sonde you really need to stay on the right side of the fairway and you have the see on the entire left side of the hole. Stunning views! Best of its kind, and only opened in 2000. A very natural layout, which appears as though it's been there for hundreds of years. Lots of humps and hollows to contend with, as expected for a links test. Superb views of the North Sea add to the experience. Just an all-round beautiful course. 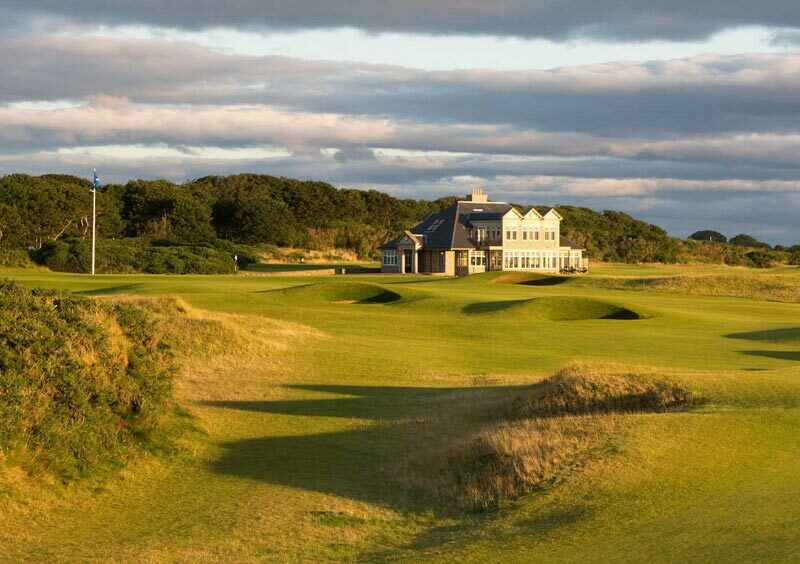 For a start, Kingsbarns has no members, which is an enormous plus which means you don't have to worry about hanging your jacket on a peg normally reserved for the vice-chairman of the greens' committee. The course is simply sensational. Open and inviting with holes that will take your breath away. It's really a second-shot course where the really test comes with the approach. You'll be given a goodie bag on arrival which includes sun cream. Yes, sun cream in Scotland! Needless to say, it hardly ever gets used. Extremely interesting course with several opportunities to get to the green. The best Course ever played. Mit Sandebenen welche den Blick aus Meer ermöglichen ist dieser Platz phenomenal!